Susan Lyons Pons, known to friends as “Laguna Sue”, passed away on July 16, 2018 at the age of 72. She was born in Long Beach, California on July 13, 1946 to parents, Jack and Theora Lyons. She graduated from Southern Methodist University in Dallas, Texas where she was an active member of the Chi Omega sorority. 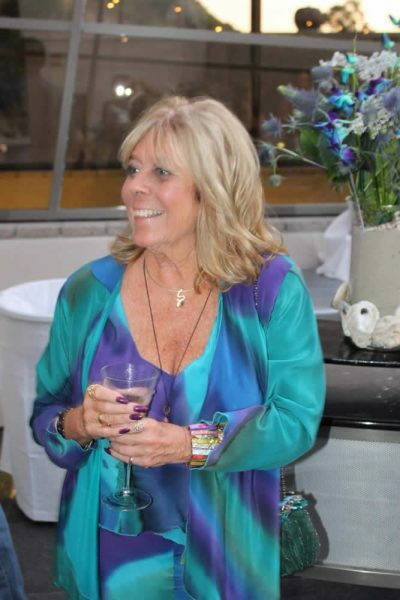 Sue moved to Laguna Beach in 2000, where she was active in the community participating in and supporting local charity events always sharing her joy for life with all she encountered. She was loved by all whose lives she touched. Sue will be missed and forever remembered by her father (Jack Lyons), sister (Lynn Powers), niece (Jacki Abraham), son (Shawn Pons), daughter-in-law (Sabina Pons) and her two grandchildren (Sawyer and Savannah Pons). “Laguna Sue” loved Laguna Beach and supported many of the local artists at the Sawdust Festival, Festival of the Arts, and Laguna Art-A-Fair. She frequented other local artist galleries during the monthly Laguna Beach Art Walks. Art was a huge passion for Sue and many of these local artists were part of her second family. As such, memorial donations can be made in the memory of Susan Pons to the Sawdust Art Enrichment Fund by calling 949-497-0521. The family will hold a private service to celebrate Sue’s life and memory.